An Intelligently crafted end-to-end design strategy keeps the story of your product robust & on target. Thinking dynamically, learning as we grow & always finding solutions to problems. Our custom team pods are built with your needs in mind, we will craft anything from a design experience focused pod to an end to end solution. 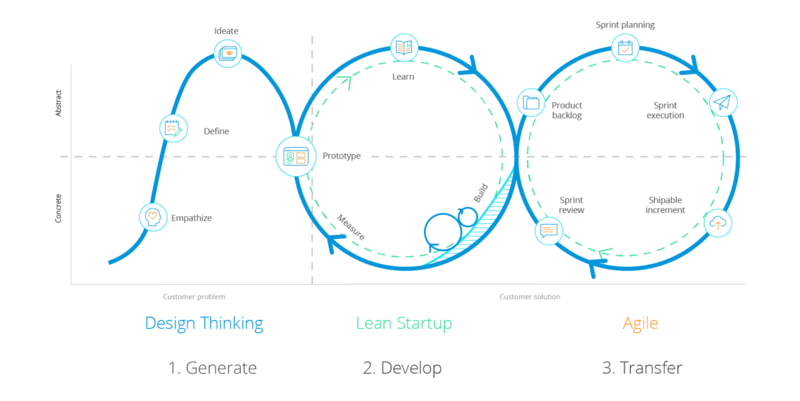 We use a combination of agile development and design thinking, the two approaches are better together, creating a symbiotic environment focused on the user and rapid iteration as a means of reaching optimal outcomes. Design thinking brings a strong user focus while agile is an excellent way to incrementally deliver solutions, ensuring user needs are kept front and center throughout the entire design and development process. Our Product Design community is made up of passionate people spanning multiple disciplines, united by a commitment to learning and growth. For more on the kind of people we recruit for our design and UX/UI teams, check out this statement from our Director of Product Design.